Mick Jenkins has shared storming new song 'Bruce Banner'. The rapper has been working on fresh material since his two-part 'or more' project, and dropped past Zane Lowe's Beats 1 show to reveal a touch more. Turns out, he's already close to completing his new album - out later this year, it will be called 'Pieces Of A Man'. New song 'Bruce Banner' leads the way, with the muscular production underpinning a typically dexterous flow from the MC. 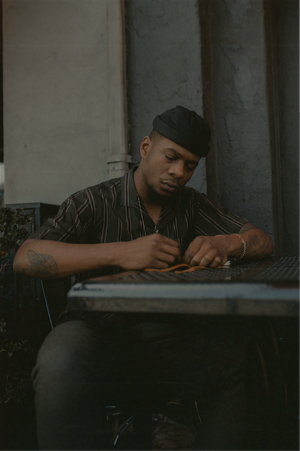 For tickets to the latest Mick Jenkins shows click HERE.